New European footie channel to be headed up by Gary Lineker. BT has finally revealed just what its plans are for Champions League football and it's all rather impressive. After spending a mighty £897 million on the rights to the Champions League, it looks like the telecoms giant still had a bit of money left over to snap up Gary Lineker as chief pundit of its European footie coverage, alongside Jake Humphrey and Rio Ferdinand. BT is sticking to the same script with its new sports package. 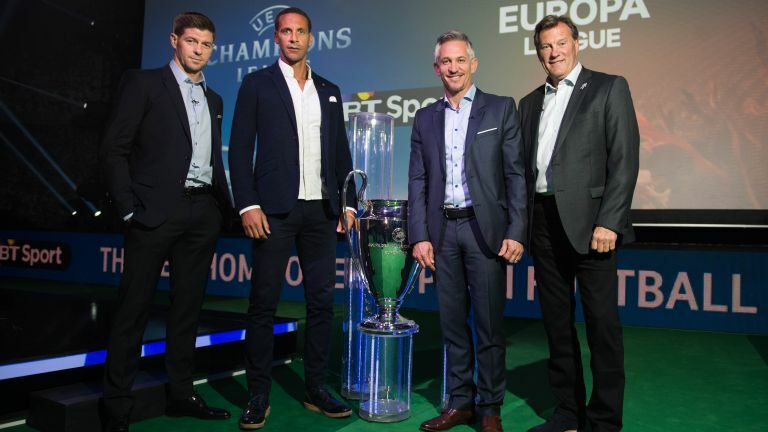 Although it has added an extra channel - it now comprises BT Sport 1, BT Sport 2, ESPN on BT Sport and the new BT SportEurope channel, which launches 1 August - it is still offering the content for free to BT customers. If you are a BT Broadband customer who wants to watch the package through Sky, then this will cost £5. BT hasn't revealed anything about its current deal with Virgin Media but if you don't have any BT in your life, expect to pay at least £13.95 for the package. Alongside announcing its new channel, BT also revealed that it has pipped Sky to the post with its 4K channel. BT Sport Ultra HD will launch in August and offer up 4K football to those who upgrade to a shiny new BT TV Ultra HD set-top box.